BERLIN -- Audi reported a 56 percent gain in third-quarter profit on rising sales in China and the United States and stronger demand for the revamped A6 sedan and Q5 sport-utility vehicle. 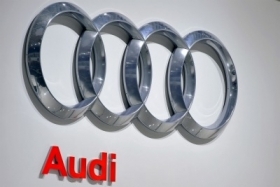 Third-quarter profit jumped to 1.4 billion euros ($1.9 billion) from 900 million a year earlier, Audi said on Wednesday. Revenue increased 30 percent to 10.9 billion euros. Operating return on sales widened to 13.1 percent from 11.1 percent. Audi's global deliveries increased 17 percent to 320,300 units in the third quarter, fueled by demand in China and the U.S.
Audi said it still expects its 2011 vehicle sales to hit a record level of 1.3 million as all its markets except Western Europe grow. In the first nine months of the year, Audi's vehicle sales advanced 17 percent to 973,200 units, driven by a 29 percent jump in China and 15.5 percent more sales in the U.S.
Operating profit through the first nine months of 2011 surged 74 percent to 3.96 billion euros. "We have already exceeded the operating profit for the whole of 2010," Audi's Chief Financial Officer Axel Strotbek said in a statement. Audi has outsold Mercedes-Benz this year and aims to overtake luxury leader BMW by 2015.